Fun in the sun! The cool splashes will feel good as you paddle through this high mountain desert canyon. Named after the high concentration of Bighorn sheep that occupy this region, you may be lucky enough to see a herd of these magnificent creatures. You will definitely have plenty of fun as you run through rapids like Three rocks, Shark’s Tooth, and Kamikaze. This is a full day adventure through the Arkansas River’s Bighorn Sheep Canyon. 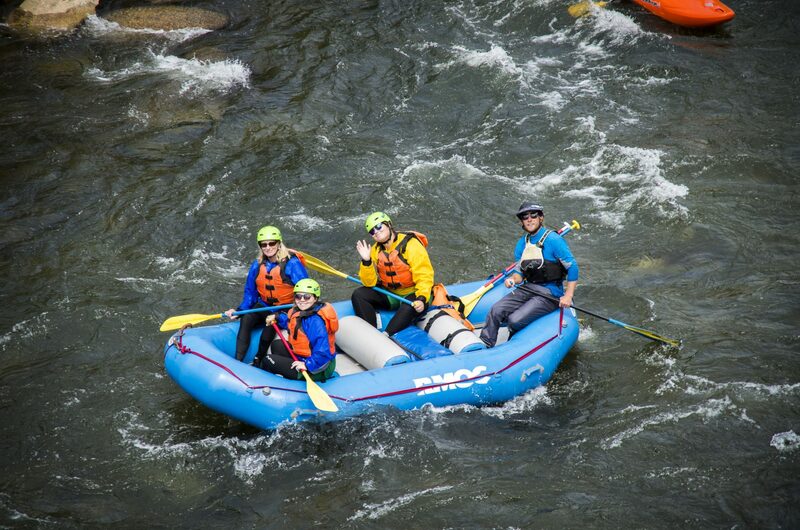 Spend the day rafting through the beautiful canyon with fun Class II & III whitewater. We’ll stop along the river and have a “Mountain Mex” style lunch and then finish rafting the canyon in the afternoon before heading back to RMOC.